Choosing the right technology is just the first step towards offering a better solution. Caregivers, patients and family members need to be informed about how systems function and how they benefit the hospital’s goals for satisfied patients. 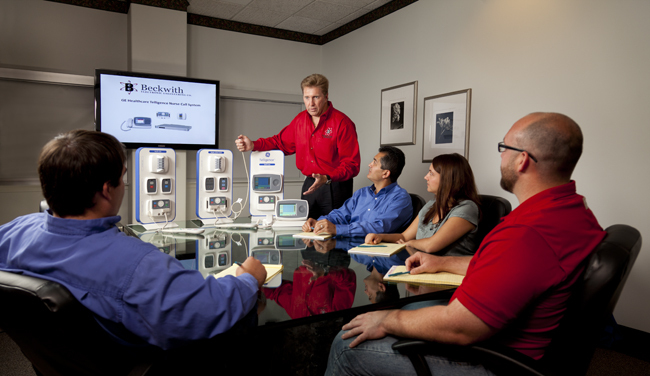 Beckwith offers the necessary training programs that explain in a straightforward fashion what your system is for, why it is necessary, and how caregivers can best utilize this “state of the art” technology. Our goal is 100% customer Satisfaction the first time, every time, and our promise is to help you improve your nursing care productivity and help you maximize return on your investment.